Deaton: I think I know what we're dealing with. It's an ancient shape shifter, a creature of disharmony. It can turn neighbor against neighbor, sewing the seeds of discord and hate. It doesn't need claws. It uses something far more sinister. Deaton: Yes. When paranoia turns to anger, anger turns to violence, entire communities tear themselves apart. The creature feeds off the fear and grows more powerful. It's called anuke-ite. Teen Wolf Season 6 Episode 15: "Pressure Test"
Theo: Your dead friends are dead, and they are going to stay dead no matter what you do. Liam: [punches Theo] By the way, I'm still working on my anger. Permalink: By the way, I'm still working on my anger. You should find Scott McCall. He has a thing for taking in strays. 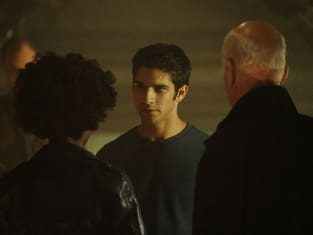 Permalink: You should find Scott McCall. He has a thing for taking in strays.